A few of the new features that you asked for in last week’s survey were already added to SpendMap earlier this year and will be available in the next release of your free Purchase Order Software. Thanks to all who took the survey. 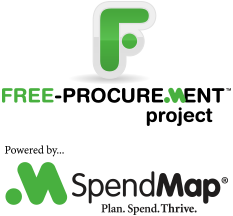 When creating our development schedule, we take valuable input from the users of the free version of SpendMap, and combine it with new feature requests from our paying customers (who are using the web-based version of SpendMap), so both communities benefit from your input. If you haven’t yet taken the survey, please take a moment now and join the conversation.